The W-BLLA Lawyer Referral Service is an automated telephone system. 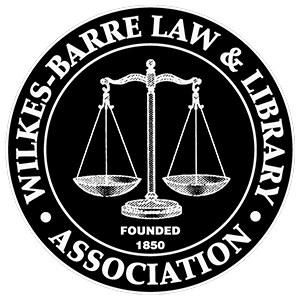 This service will provide you with a list of attorneys who are members of the Wilkes-Barre Law and Library Association and have identified themselves to us as practicing in a given area of law. The list of attorneys provided to you is not a list of lawyers who do pro bono work (free work). Lawyers listed on the referral list do charge for their services should they decide to accept your case. Please note that the attorneys participating in this service will charge $10.00 for a half hour consultation fee. All other fees should be discussed with that attorney. If you are on a limited income or are seeking free counsel, you should contact Legal Services. The Lawyer Referral Service is not a substitute for Legal Services and the two should not be confused. Again, it is important to note that the Lawyer Referral Service is only designed to provide you with the names and professional office contact information of lawyers who handle particular types of cases. Lawyers listed on the referral sheet do charge for their services should they decide to accept your case. For criminal matters only, you may qualify for the low income status through the Public Defender’s Office at 20 N. Pennsylvania Ave., Wilkes-Barre, PA., 18701. The telephone number is (570) 825-1754. For low income status, North Penn Legal Services provides some services with no fees for eligible clients. Their toll-free number is 1-877-953-4250 or you may apply online at www.northpennlegal.org.